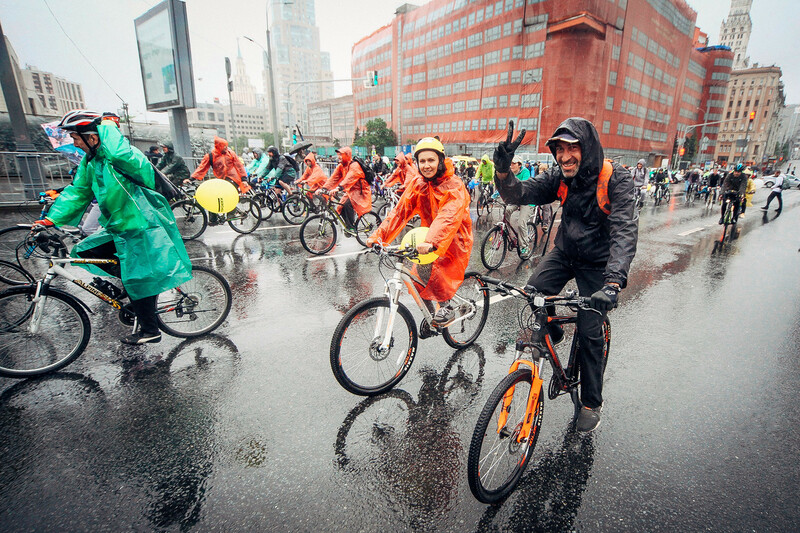 Torrential downpours in Moscow on May 20 failed to keep locals from turning out for the city's annual cycling parade. 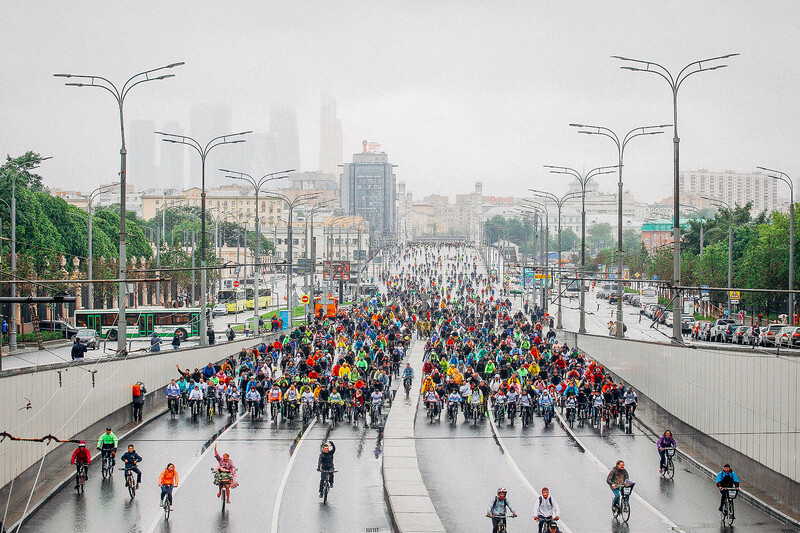 More than 30,000 people came out to support the development of a cycling infrastructure in the Russian capital. 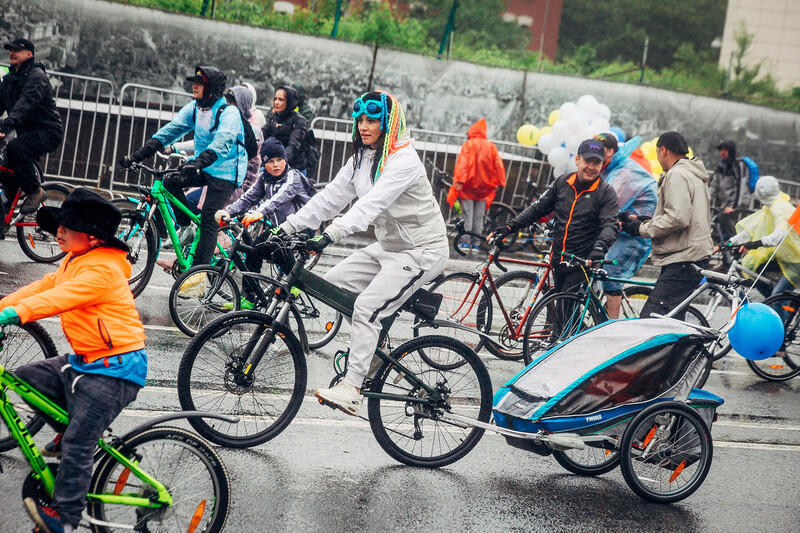 Anyone could join in: the event was free and voluntary. 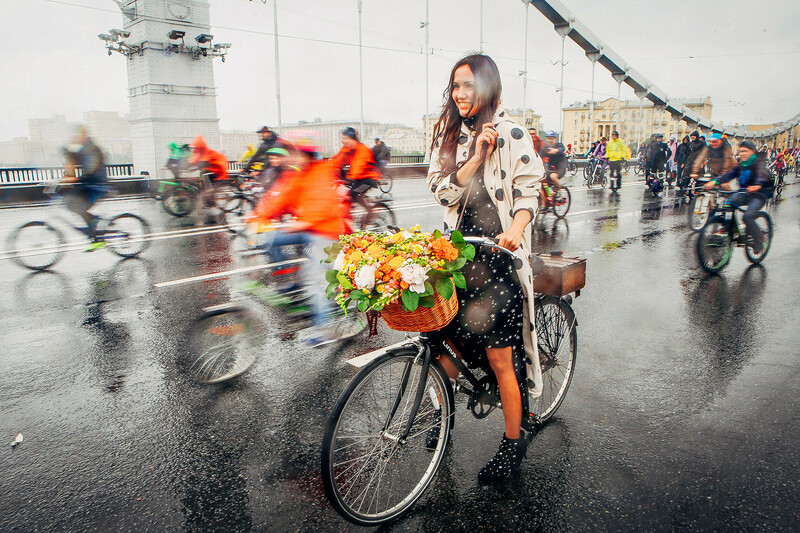 People could use their own bicycle or rent one. 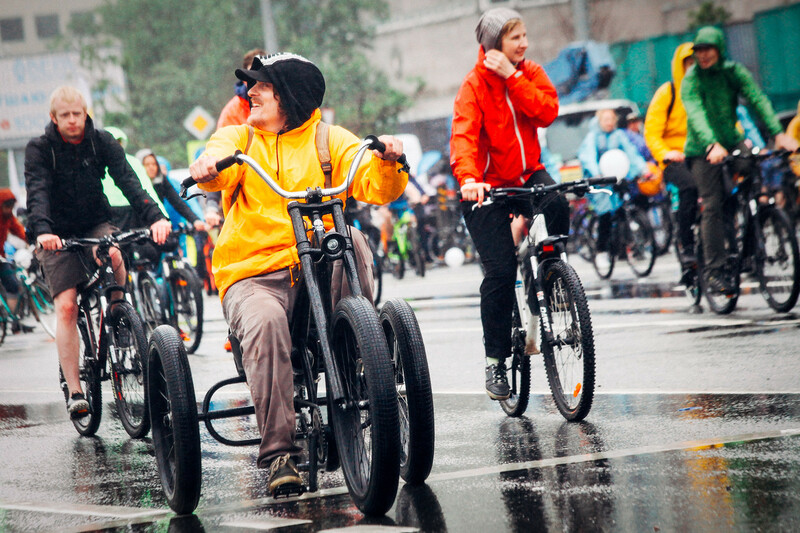 The event wasn't competitive; the column of cyclists peddled at a sedate pace of an average of 14 km/hour (8.6 miles/hr). 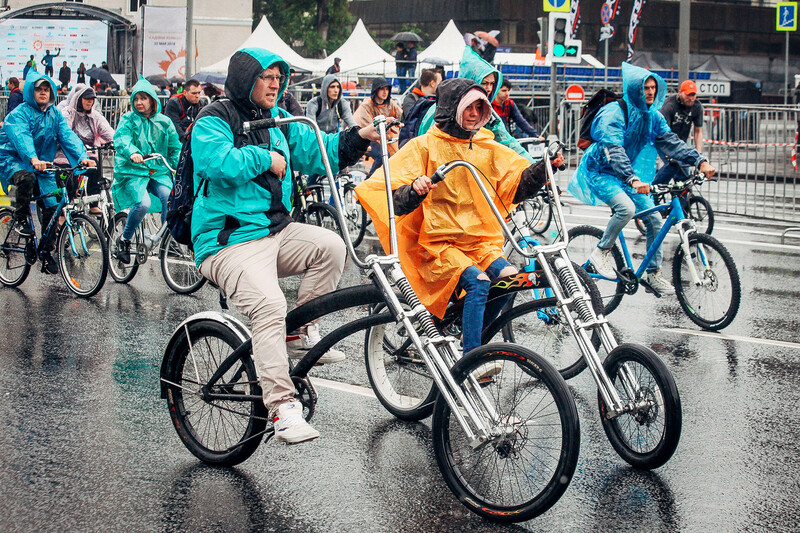 Those with a more competitive spirit could join the city's special cycling race for the over 19s. 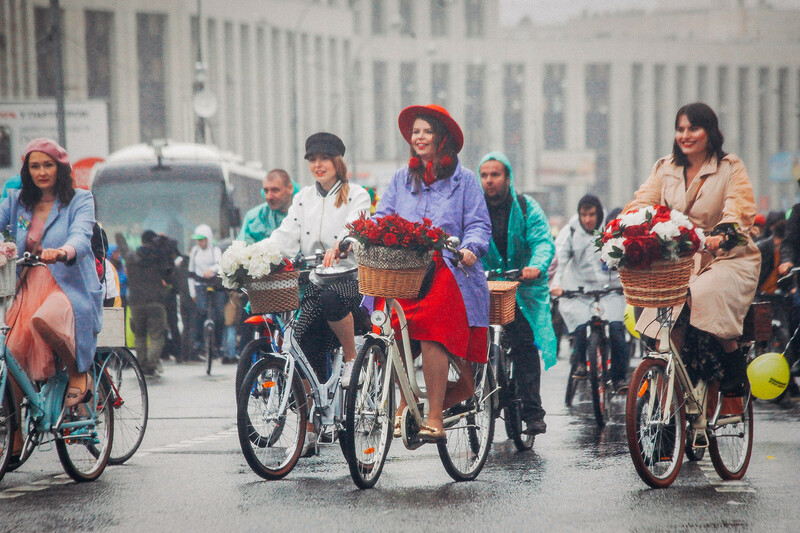 The parade started at noon from Academician Sakharov Avenue and followed a route around Sadovoye Koltso (the Garden Ring). 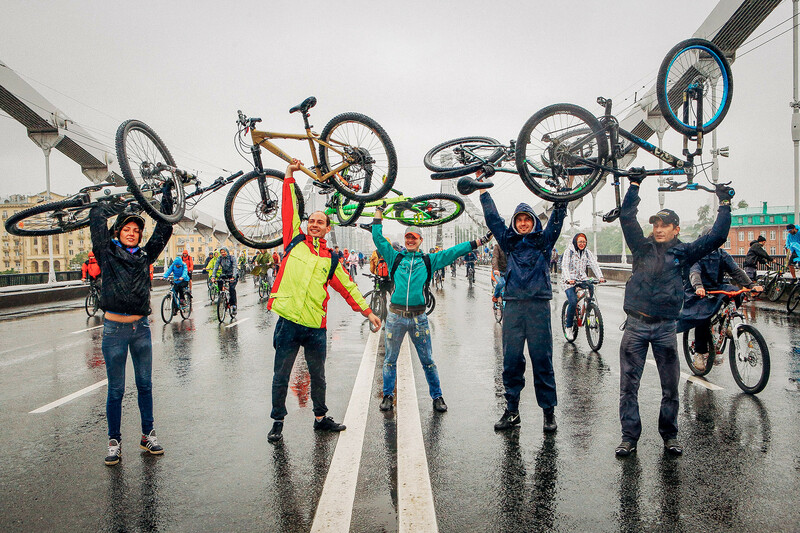 Despite bad weather, participants did a full circle on a 16 km (9.9 miles) route via Sadovoye Koltso which was blocked to vehicular traffic all day. 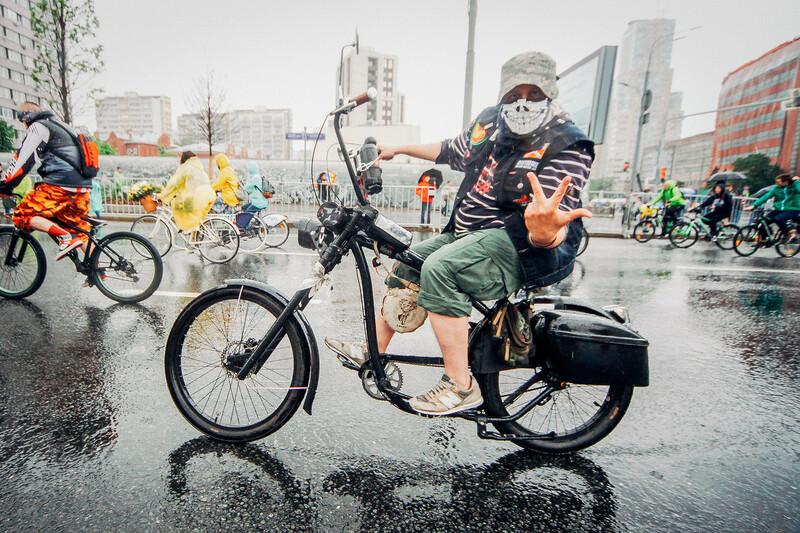 Riders from more than 20 countries participated (link in Russian) in the event, including European Union envoy to Russia, Markus Ederer. 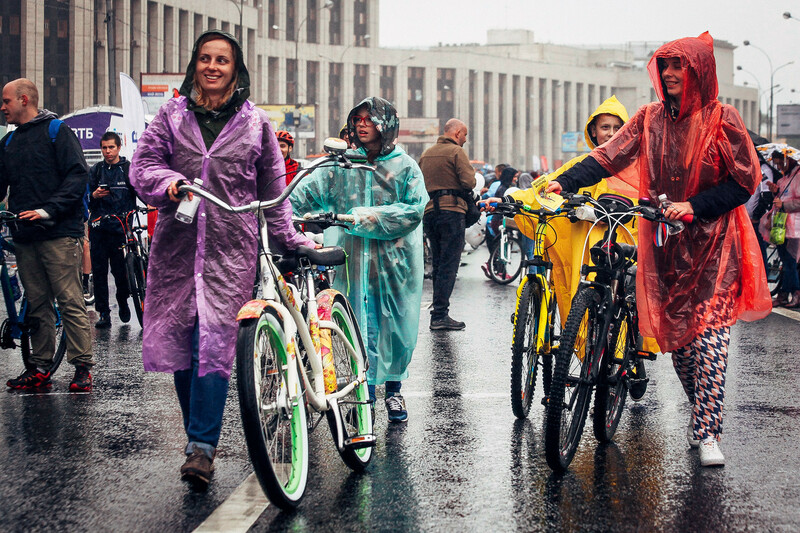 Moscow's cycling infrastructure is developing fast. 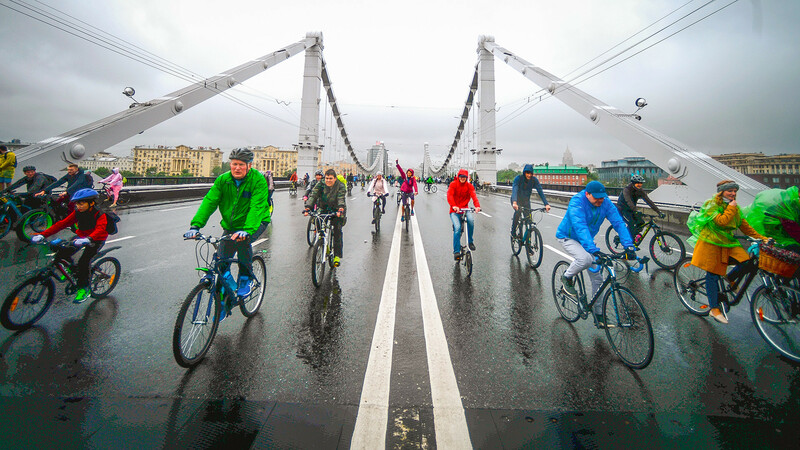 If you are planning a trip to Moscow, check out these 5 cycling routes that will help you explore the Russian capital on two wheels. 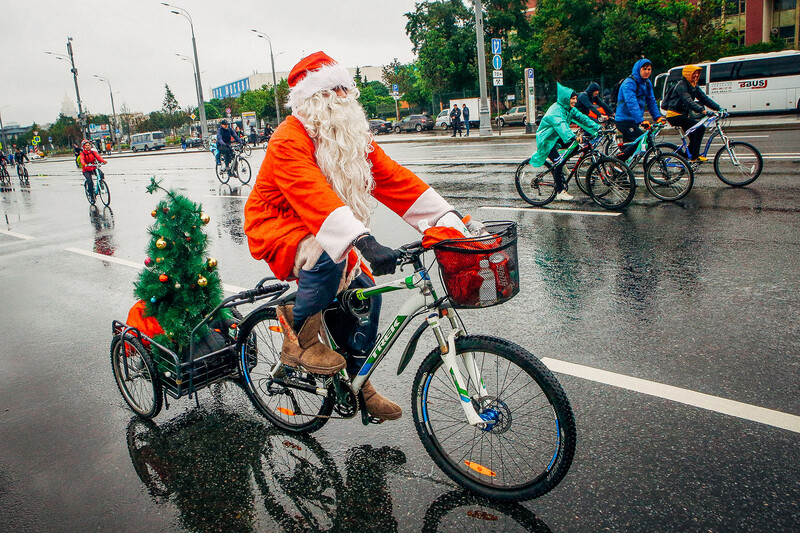 Did you know that Russians invented the bike? Find out who rode it! 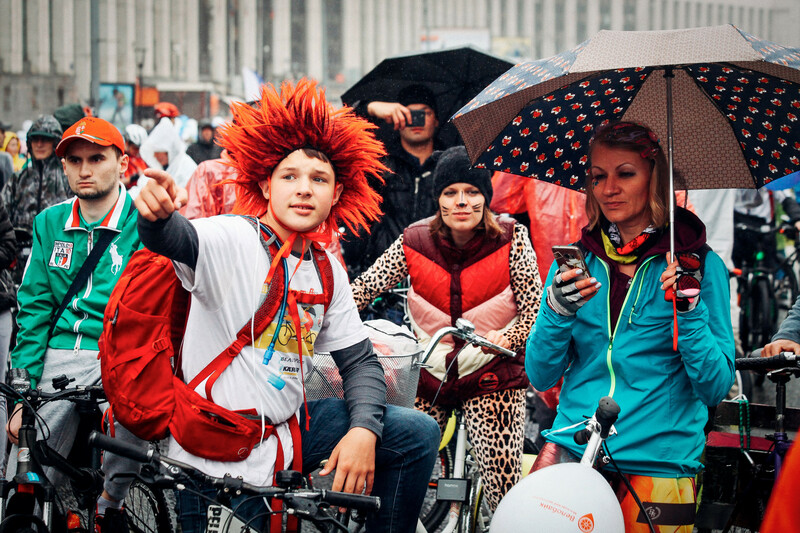 From Russia's Sakhalin to Kalmykia: How many miles can a man run?